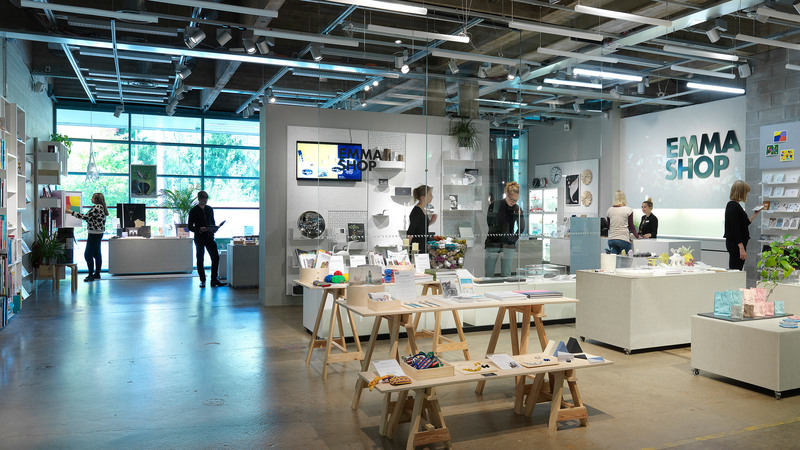 The EMMA Shop offers an attractive range of gift items for lovers of art and design of all ages. Visit during our museum’s opening hours or check out our 24/7 web shop. At the EMMA Shop you’ll find a great range of gift items and souvenirs from WeeGee’s four museums. EMMA is an inspiring place to shop for art literature, one-of-a-kind jewellery, design items, unique gifts and souvenirs for art lovers of all ages, including kids. Discounts are available to EMMA Club members and Museum Card holders.